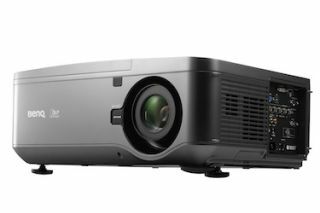 The What: The BenQ P-Series projectors deliver brilliant image performance with ultra-high brightness, high contrast ratios, and high resolutions to deliver incredibly accurate color reproduction.The What Else: The PU9730 and PU9530 deliver 7,000 and 6,000 ANSI lumens, respectively--suitable for large-venue applications such as houses of worship, auditoriums, and conference rooms. Both models feature WUXGA resolution; 360-degree rotation; motorized zoom, focus, and lens shift; plus a range of connectivity options including HDBaseT for enhanced installation flexibility. The P-Series projectors offer seven interchangeable lenses and color wheels allowing placement virtually anywhere, all while boosting mid-tone colors for more lifelike content. Rounding out the projectors' administration are convenient features like LAN Control to support Creston Roomview, PJLink, and AMX systems, and energy-saving options that reduce total cost of ownership (TCO).